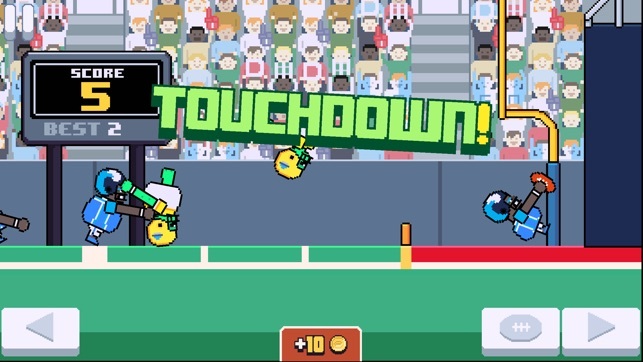 Touchdowners is a crazy physics based sports game where you need to grab the ball and touch it down in your opponents endzone! You control a team of three highly trained Touchdowners. 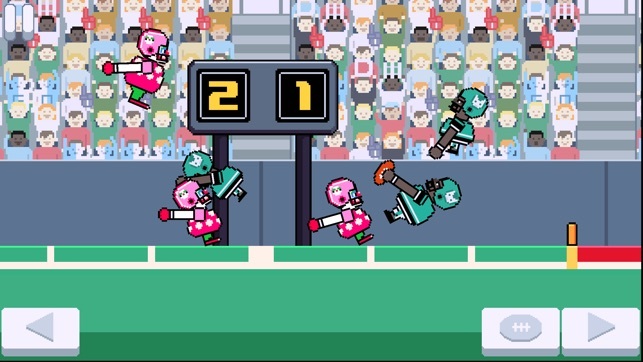 Pass, wrestle and jump your way to the end zone then slam the ball to the ground. Play for glory in the career mode or top the global ranking table in arcade mode. 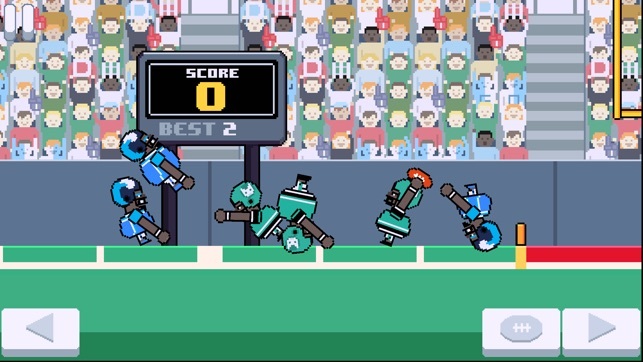 Go head to head with a friend on the same device in 2 player mode. Can you become the greatest Touchdowner the universe has ever seen? Amazing gameplay! 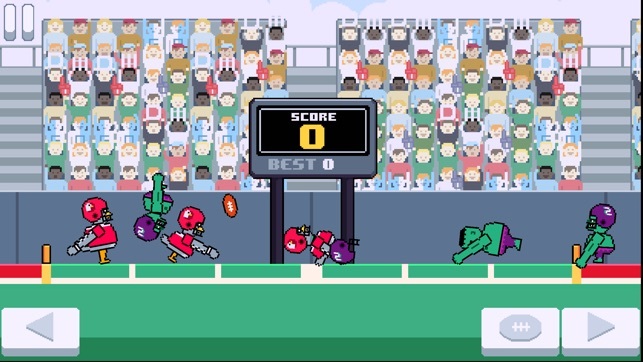 Make a TD2! So much fun. God this game is fun. I just giggle and laugh as I imagine how my three little stupid people, as they bounce around the field knocking into each other, actually simulate the true essence of football strategy. It is a twitch reflex chess match that can occasionally result in a standoff. 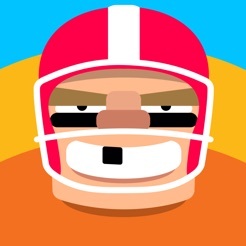 Tense and thought provoking “football simulator”. Please make TD2 complete with player stats, career mode, drafting, trades, plus online multiplayer! Get the NFL involved! This should be the next BLITZ! Playing with a joystick would actually be dope now that I consider it. Good job guys. Hats off. Now make me another one but deeper. Great beginning of a game! Yes I know it isn’t perfect, but all games have to start somewhere. Some complaints people have made are false. Honestly, I know some people don’t want to here it, but: get gud. Some people complain about the throwing, it isn’t hard at all, even with out skill. My 6 year old brother was even able to do successful throws, and got 8 points in the arcade. Like seriously people. Also, some people say the AI is so hard and they “cheat.” That is false. I think that is false, and they are quite easy. Why is this game getting so much hate? It is one of the best out there!